hd00:14Nizhny Novgorod. Navigation on the Oka river. hd00:09Nizhny Novgorod. Navigation on the Oka river. 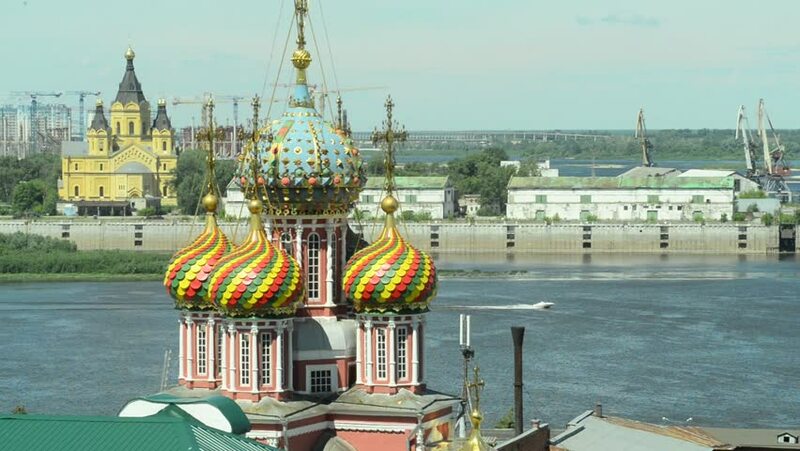 hd00:18Great Bell Tower of Kiev Pechersk Lavra is the best place to watch the city skyline with stunning Dormition Cathedral and Refectory Church of Lavra monastery and Dnieper river on background, Ukraine. 4k00:25Aerial view of St. Michael's Monastery - one of the oldest monasteries in Kiev.